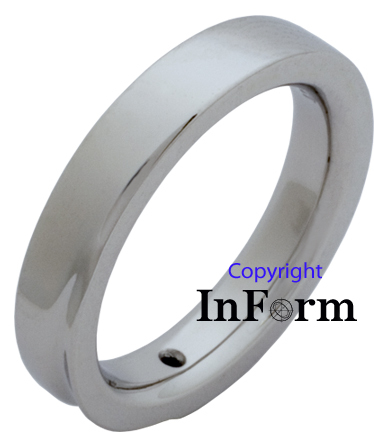 Seen below is a contemporary platinum wedding ring that has a very simple and elegant appearance. 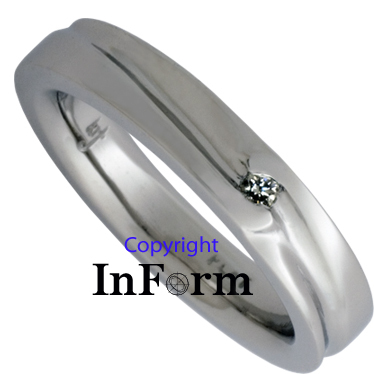 The particular ring seen here measures approximately 3.5mm wide and has a single diamond weighing about .02 carat. ***Please note that a ring or rings of similar nature could be made of gold as well. 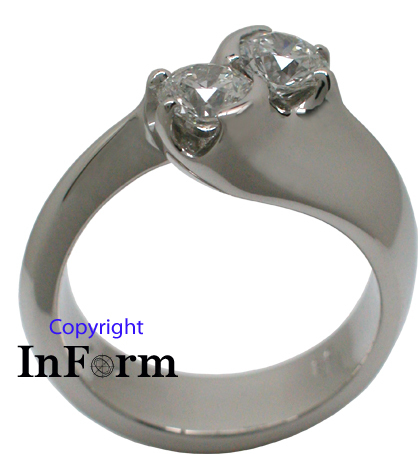 View showing a 1.75mm diamond channel set between the two slender arms that embrace the stone. 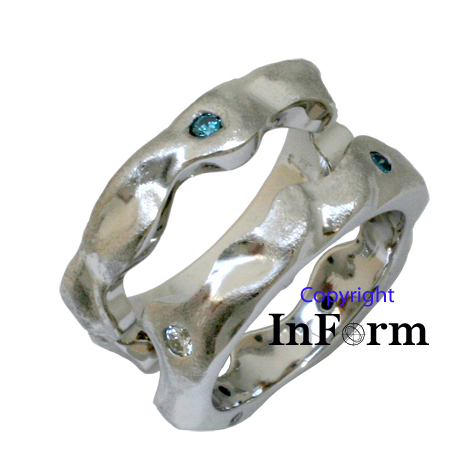 Essentially the same ring could be made using a larger stone.